Electronic evidence is now recognised as the main source of evidence worldwide. It affects every aspect of law, criminal and civil, and with the internet, is even more important for all lawyers to understand and apply to daily practice. 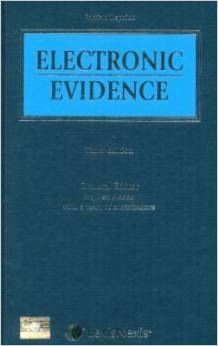 The edition provides essential guidance on how to understand electronic evidence and how to use this successfully in litigation and other means of dispute resolution. This title brings together all the issues relating to disclosure, procedure and admissibility of electronic evidence as well as comprehensive coverage of jurisdictions including Australia, Canada, the UK, Hong Kong, India, New Zealand, Singapore, South Africa and the USA. It covers the complexities and types of electronic evidence in one source. It ensures compliance with procedures and duties to the court for the disclosure of electronic evidence. The book includes coverage of key foreign jurisdictions and a glossary to ease understanding.